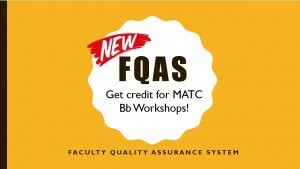 All faculty are invited to attend a one-hour Blackboard workshop to earn 1 CEU hour that counts towards FQAS! For questions about workshops, please contact the workshop’s leader directly. Watch your MATC email for workshop announcements and send an RSVP to tltdept@matc.edu to attend. 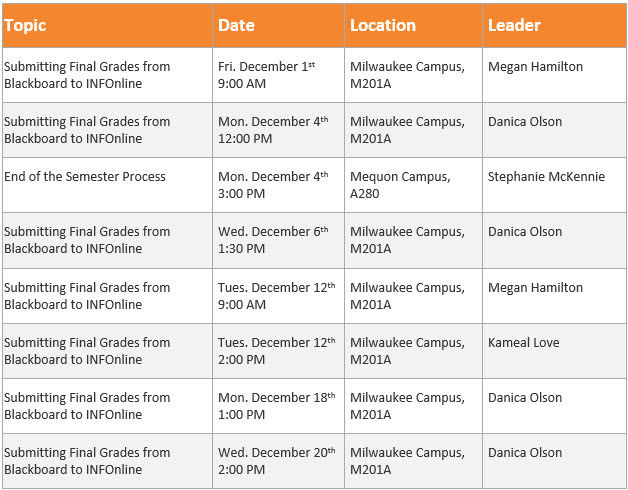 The Blackboard Faculty Support Liaisons are your first point of contact for Blackboard how-to questions and assistance. They can also answer general questions regarding WIDS and COS’s. All faculty are invited to attend a one-hour Blackboard workshop led by our faculty liaisons to earn 1 CEU hour that counts towards FQAS!